Juan Pablo Montoya will stick with Team Penske's IndyCar outfit for a fourth season in a reduced role after losing his full-time seat to young American badass Josef Newgarden. 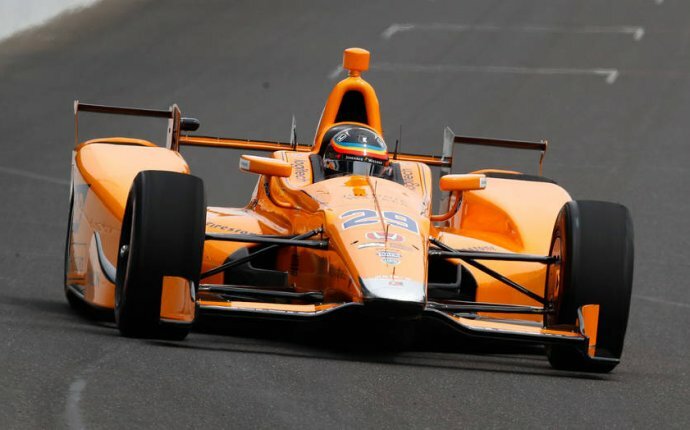 Coming off an incredible 2015 Verizon IndyCar Series championship run where Montoya led the team, won his second Indy 500, and finished second in the standings, 2016 proved to be a deflating experience for the mercurial Colombian. A win at the season opener in St. Petersburg gave a false read on where his run would end; despite adding two more podiums, JPM fell to eighth in the championship while his teammates, led by title winner Simon Pagenaud, finished 1-2-3 in the standings. Spurred by the downturn in performance, rumors of Penske's interest in Newgarden to replace Montoya gained momentum throughout the summer, and by early October, the change was confirmed. Montoya, who turned 41 in September, searched throughout the Verizon IndyCar Series paddock to land a new drive, but after talks with AJ Foyt Racing, Andretti Autosport, Chip Ganassi Racing, and Ed Carpenter Racing failed to produce a new contract, Montoya took Penske's standing offer of a seat for the Indy 500. "Obviously we have a great relationship with him and he's done a great job for our team, " Penske president Tim Cindric told RoadandTrack.com. "In some ways he was a victim of circumstance, so we extended the offer to run with us at Indy the moment we were unable to offer him a contract to run the full season." With Montoya's return, Penske will field five Chevy-powered cars at the 101st Indy 500 in May. The team has also expressed its interest in having JPM drive in the IMSA sports car series if it is able to secure a manufacturer-affiliated program. With decades of combined Indy car, NASCAR, and Formula 1 experience on his CV, Montoya is headed for another career shift; whether it's filled with one-offs at Indy and lots of endurance racing, or a slow separation from driving altogether, change is coming. And with his son Sebastian's rapid rise up to karting ranks, a new Montoya could be carrying on the family name in the years ahead.